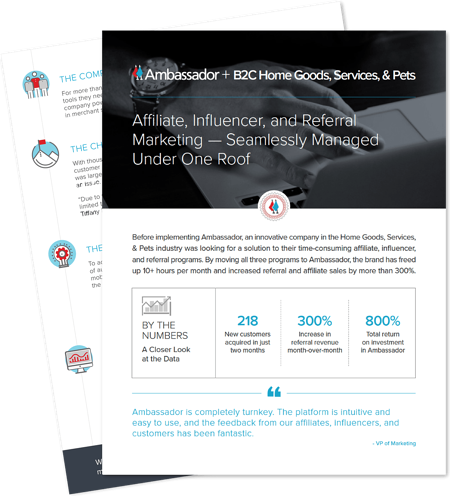 An innovative company in the Home Goods, Services, & Pets industry that sells directly through its website, but it also relies on a diverse network of affiliates and influencers to drive traffic and sales. Prior to implementing Ambassador, the company relied on ShareASale and a manual coupon system to manage and track its affiliate and influencer networks. While that approach generated some results, the VP of Marketing said it was time-consuming, inefficient, and difficult to track.